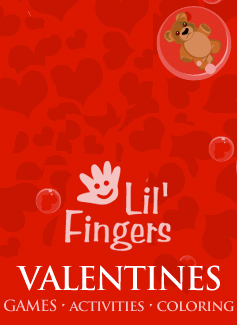 If you're like us, you love the holidays, and each holiday presents a unique opportunity to include children in the culture and tradition. 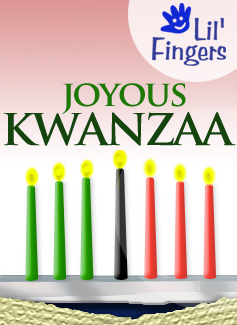 New holiday sections are added all the time! Get ready for School with our Back to School stories, activities and game! Egg-celent Easter has storybook, matching, mix-up and games. Our original eCard, coloring pages & storybook for Father's Day. Fun and games for February 2nd and the groundhog. Spooky fun with our pumpkin storybook, games, & coloring. 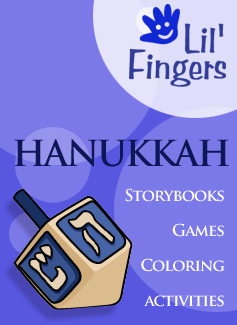 View our seasonal storybook, dreidel game, Hanukkah links & coloring. 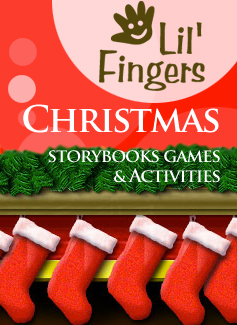 Check out our holiday storybook, game, links and coloring pages. Celebrate Mother's Day with cards, storybook & coloring pages. Celebrate Purim with storybooks and coloring pages. Enjoy the happy days of Spring with coloring pages and games. A thankfully seasoned storybook, tasty games, links & coloring. 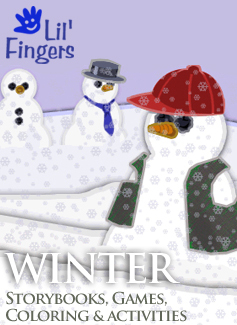 Enjoy the chilly days of winter with coloring pages and games.